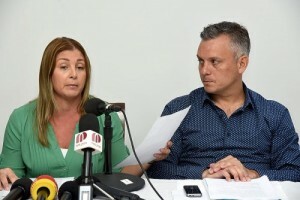 WILLEMSTAD - Former Prime Minister of Curaçao Gerrit Schotte said on Wednesday at the end of the appeal of his criminal case that he is the victim of a politically motivated process. The Public Prosecution (OM) accuses him of corruption, bribery, forgery and money laundering. The Court of First Instance convicted Schotte of these charges. He received money from Francesco Corallo, an Italian businessman who lives in Sint Maarten and who is also behind bars awaiting his extradition to his home country. The OM again demands the same punishment as in the Court of First Instance and the revocation of his passive voting rights. Schotte’s life partner, Cicely van der Dijs, received 18 months of which nine is conditional. The court will pronounce sentencing on July 21.